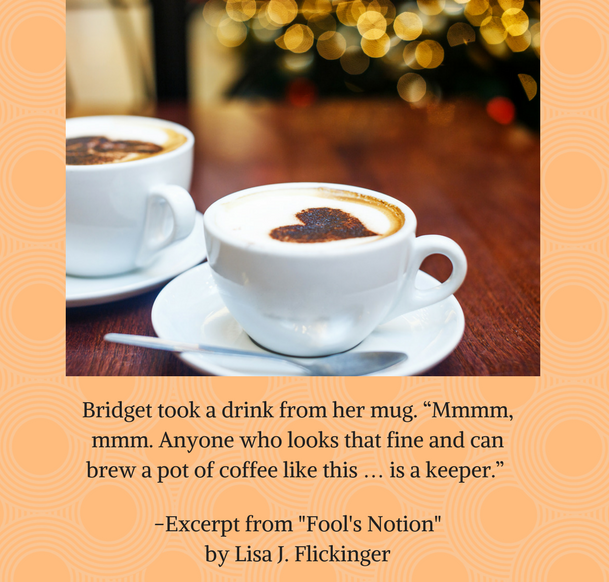 With plenty to recommend itself, Fool’s Notion by Lisa J. Flickinger is a welcome romp in history with likable characters and enough going on that you don’t lose interest in the story. A journey driving a team of mules from Missouri to Death Valley becomes one with much more depth for Alda Lealand. Alda is determined, stubborn and courageous but she also loves her home and misses her mama. 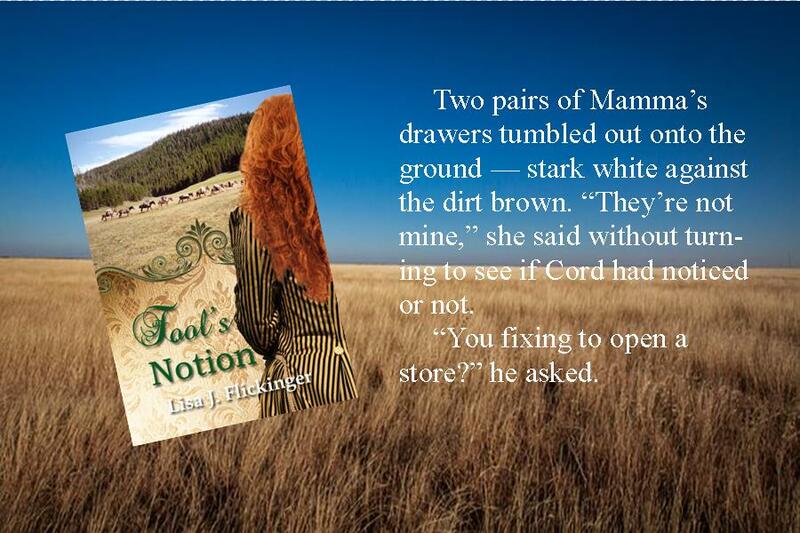 When she meets Cord near the beginning of her adventure, she is ready to send him on his way after his assistance. Yet he somehow keeps showing up just when she needs rescuing. There’s an air of mystery around Cord—I mean the guy doesn’t even give his last name—and the desire to unravel it made me keep reading to find out his story. And then there’s Alda’s proclivity to land in situations she needs saving from. 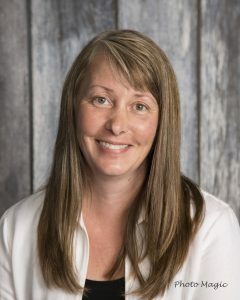 Lisa J. Flickinger takes her heroine and readers on an emotional journey of finding faith and falling in love while peppering in plenty of adventure, action, and suspense. 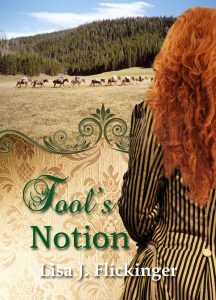 Fool’s Notion is an entertaining read with plenty going on to hold your interest.